This is a project to database herbaria with materials relating to the British Isles. It was started in 2006 by Tom Humphrey and Leander Wolstenholme. Herbaria at Home uses large numbers of people to get an otherwise impossible task accomplished - a process sometimes known as crowd sourcing. As such, it is a novel and affordable way forward for biological recording. Digitising herbarium sheets is both educational and entertaining. 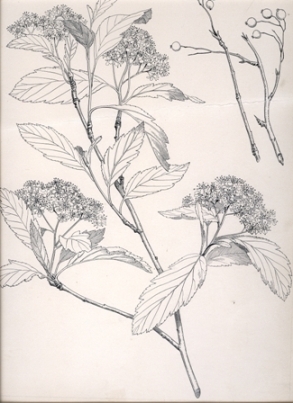 Log on to Herbaria at Home and have a go at digitising. The first thing you will need to do is register as a user. The next task is to choose a set of herbarium sheets to work on. There is a command to select 4 sheets randomly on the first page of the site. This produces an image of each sheet and a database form for you to type the details into. Sometimes you will get stuck, either because the name isn’t there, or because you can’t read it. You can skip these items - someone else will come along and deal with it at a later date. Or, if you need help, you can type a column in the ‘user comments’ box, which will then be posted on the bulletin board. You will usually get an answer from someone within 24 hours. Give it a go, and enjoy!